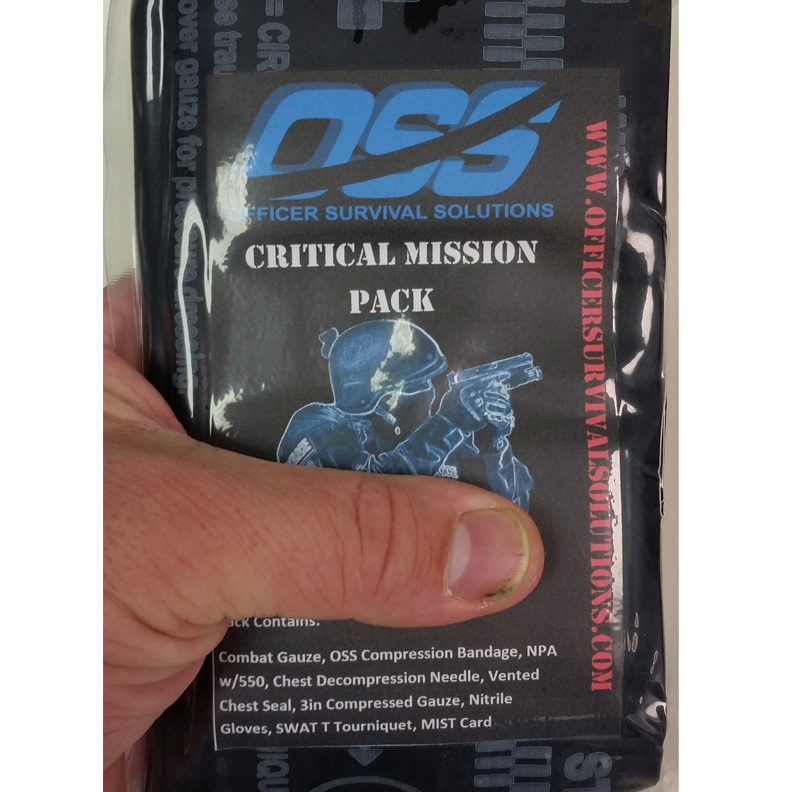 The Critical Mission Pack is our hugely popular NSW Advanced Battle Pack but in a much more compact configuration for rapid deployment and to take up much less real estate on your vest, plate carrier, belt or any other duty rig. The pouch is attached by two MOLLE straps to the rear of the pouch and has an outter layer of velcro for an Identifyer patch. This kit has the same critical components as the NSW Advanced Battle Pack that was created for our NSW Teams operating in some of the most diverse conditions on the planert. The SOF T Tourniquet in the NSW Adv Battle Pack has been substituted with the SWAT T Tactical Wrap Tourniquet to save space and create an ultra thin pack. Advanced Hemostatic Gauze 3"x39" Z-Folded, OSS Combat Compression Dressing, SWAT T Tourniquet, 28fr Nasopharyngeal w/550 cord, 14gs 3.25" Chest Decompression Needle Kit, Vented Chest Seal, 3" compressed gauze x 2, Casualty Care Card, Field Application Card, Emergency Blanket 52"x84" and Pair of Nitrile Gloves. All contents sealed inside our rugged skip pack.